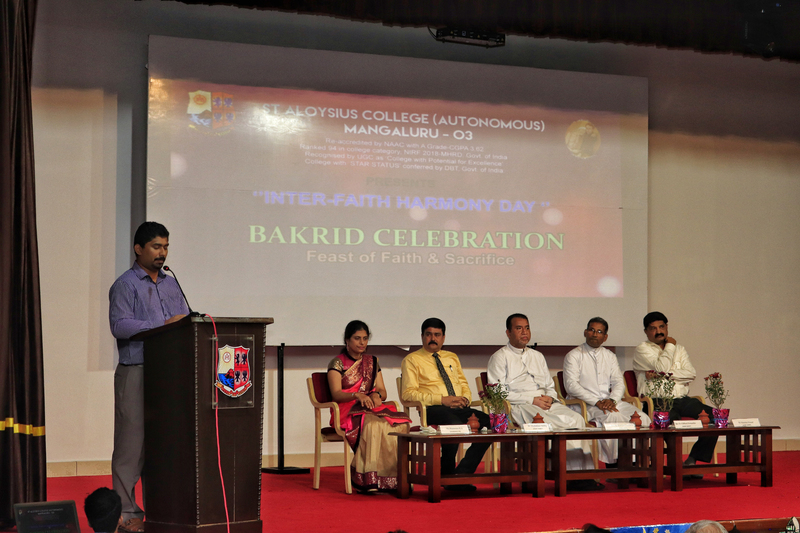 St Aloysius College (Autonomous), Mangaluru organised Interfaith Harmony Day through Bakrid Celebration on 21 August 2018 in L.F. Rasquinha Hall, LCRI. Rev. Fr. 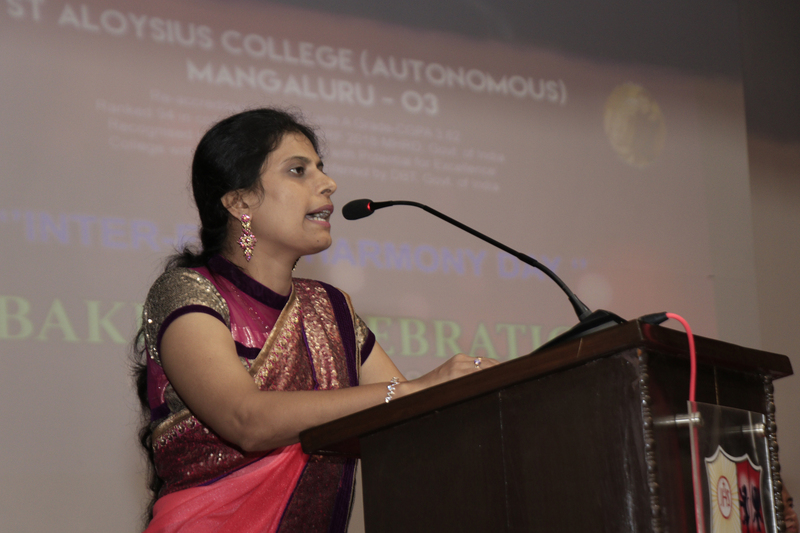 Clifford Fernandes, St Joseph’s Seminary, Shri Manohar Prasad, Chief Editor, Udayavani, Dr Abubakkar Siddiq, Associate Professor, Mangalore University were the Chief Guests. Rev. 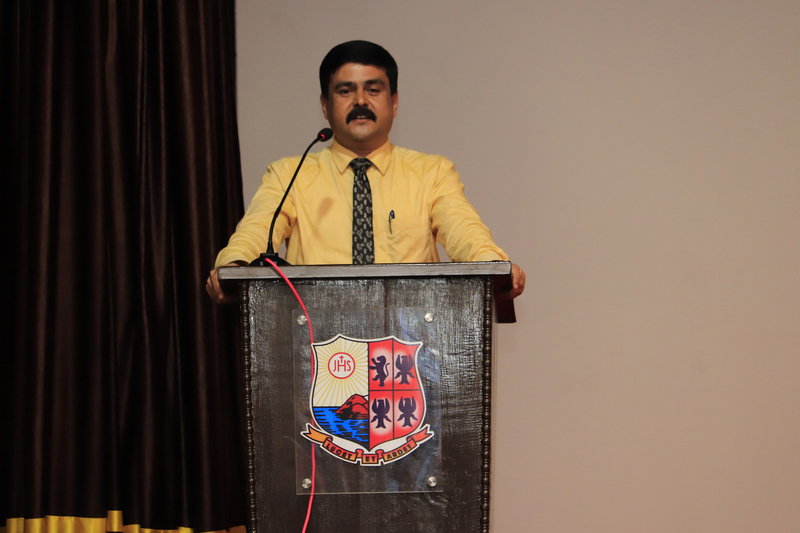 Dr. Praveen Martis S.J., Principal, St Aloysius College (Autonomous) presided over the programme. During the programme, the noble thought ‘Humanity is the greatest religion’ is reflected through celebrating Eid-Ul-Adha by spreading the essence of faith, sacrifice, peace and joy. There was a stage programme followed by greetings and messages by the chief guests of three different communities. Besides this, the students put up cultural programmes including a skit depicting the significance of Bakrid. Dr Abubakkar Siddiq in his message congratulated the Principal for organizing such programme. He explained the meaning and significance of Bakrid by narrating the story of Prophet Ibrahim and his son Ismail. Bakrid is a feast of faith and sacrifice. It signifies truth and loyalty towards Allah. He also said that meat or blood cannot reach Allah instead pure devotion reaches to Allah. People must understand the right way of celebration of Bakrid by sharing and caring to the needy. Sri Manohar Prasad entertained the audience by his wonderful speech. He remembered his early career that he has written an article about ‘Tissue Culture’ developed at St Aloysius College. He explained the real meaning of Bakrid which means peace and belief. He applauded the college for rendering humanitarian service to the society in various capacities without seeing caste or creed. He urged the students to surrender to God. We all must become socialistic and serve the society with love, he added. Rev. Fr. 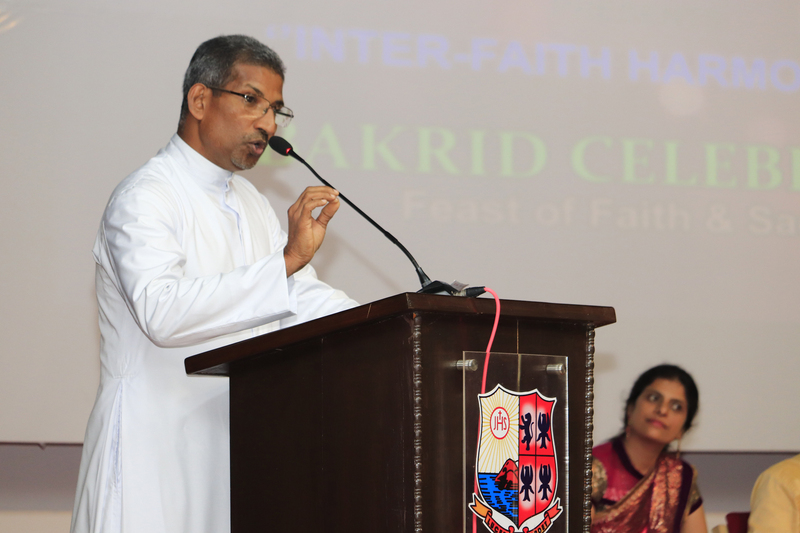 Clifford Fernandes in his message urged the students to believe in one religion ie., Humanity and explained the real meaning of Humanity. He gave the message of “Live and Let others Live”. He quoted Swami Vivekananda’s saying - “I don’t believe the religion which does not wipe the tears of a widow.” He also guided the students to destroy the social evils such as cheating, disguise, hatred and overcome from them. He wished all the Muslims a Happy Bakrid. 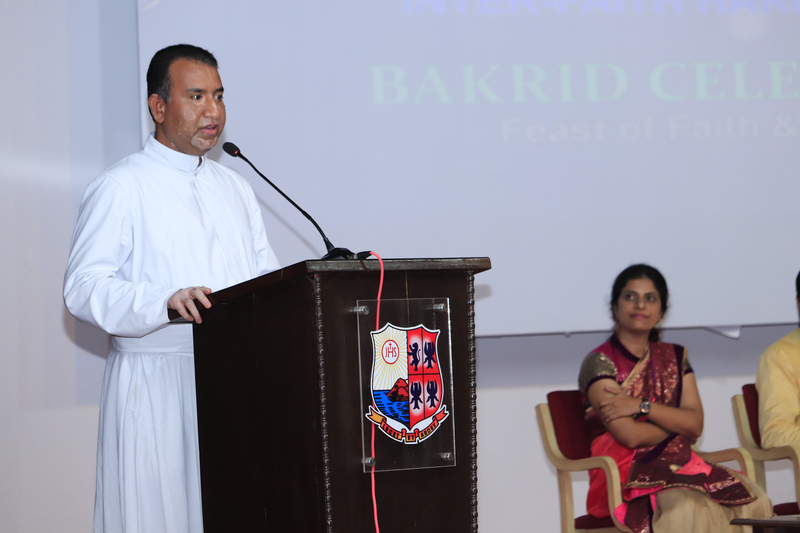 Principal, Rev Dr Praveen Martis SJ, in his presidential address, greeted the Muslim community on the eve of Bakrid. He stressed the importance of sharing and caring. 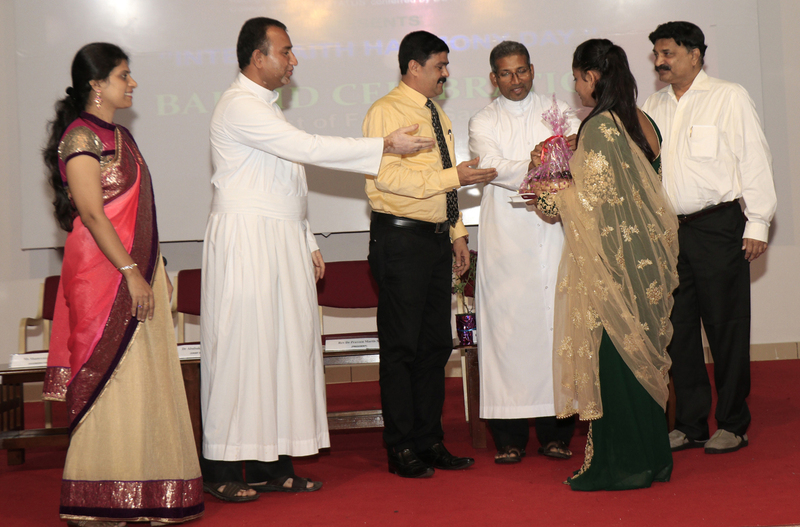 He also said that the students of St Aloysius College are always striving to take care of the society. He mentioned that the student council members had collected Rs. 2,00,000 and donated to the flood victims of Kerala and Kodagu. 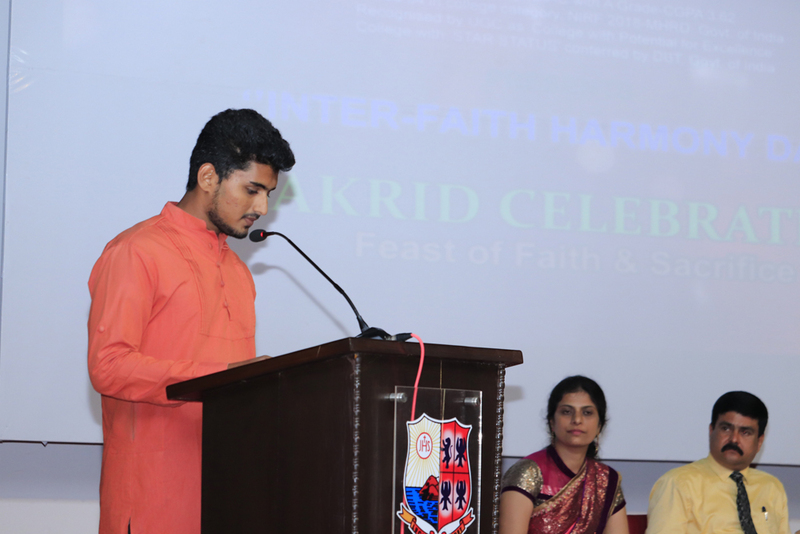 He expressed his views on Bakrid and said that we all are living in a multi-cultural, multi-lingual and multi-religious country; hence we at St Aloysius College symbolically celebrated this festival. Registrar, Dr A.M. Narahari, Finance Officer, Fr. Pradeep Sequeira S.J., teaching and non-teaching staff were present for the programme. 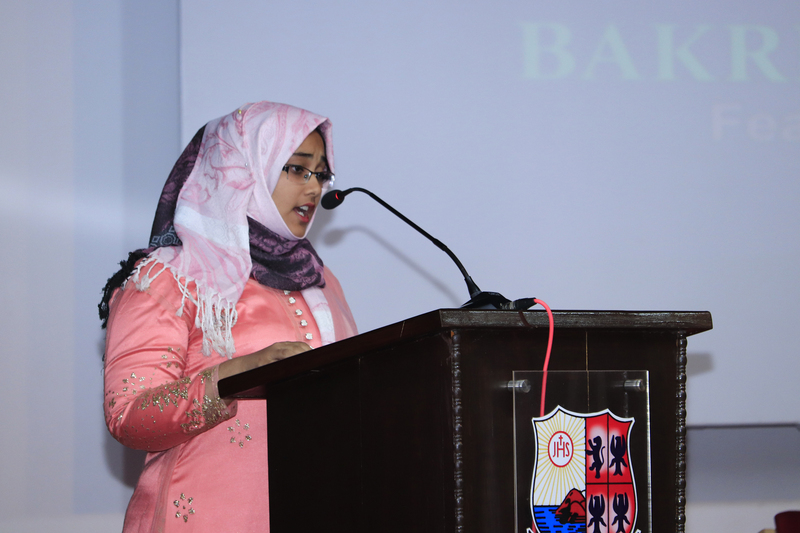 Shameema K.A., Department of Biochemistry welcomed the gathering. 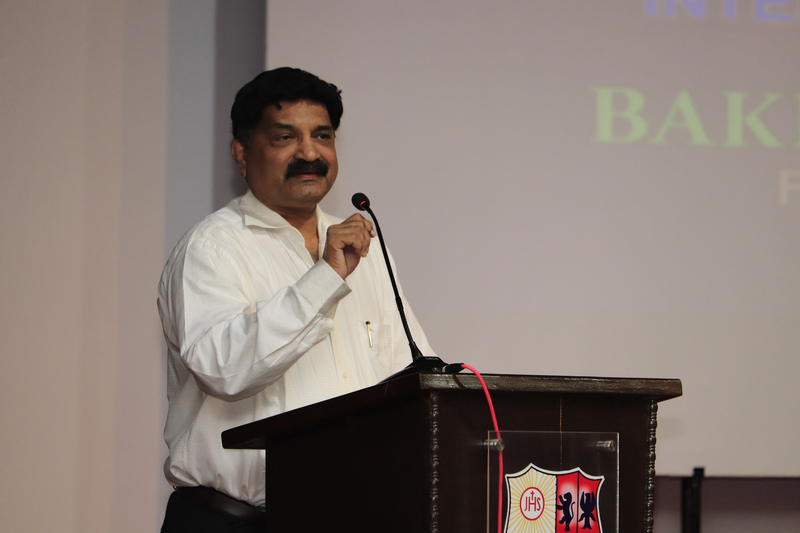 Anup Denzil D’Souza, Assistant Professor introduced the guests. Nishath Fathima compered the programme. Alfaz Hameed proposed the vote of thanks.